Maharashtra Congress President Ashok Chavan says the rate of petrol in Maharashtra is highest in India. Mumbai: Maharashtra Congress President Ashok Chavan today criticised the state government for increasing surcharge on petrol. Mr Chavan said no financial planning went into the decision and expenditure has been increasing. "The rate of petrol in Maharashtra is the highest in the country. This despite the centre reducing petrol prices. The total surcharge on petrol is now Rs 11 and the state Congress will protest against this," Mr Chavan said in a press conference. 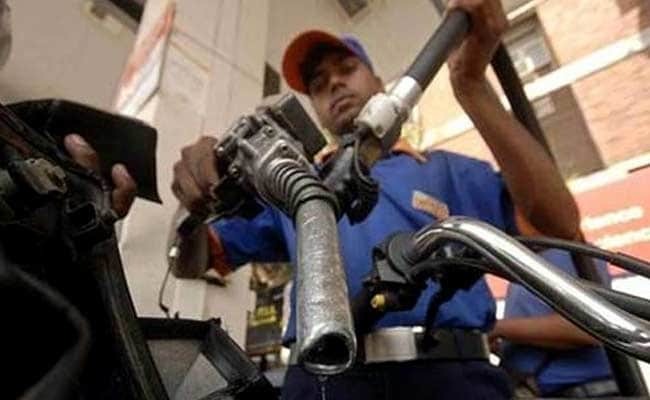 The Maharashtra government this week increased the surcharge on petrol by Rs 2. The state government took the decision just four weeks after it hiked petrol price. "There is no proper financial planning and the state's expenditure is mounting. The common man is at the receiving end because of a slew of taxes," Mr Chavan, who was Maharashtra chief minister, said. Mr Chavan questioned the central government's regional air connectivity programme. "Only two cities in Maharashtra were selected for the intra-state connectivity. But six additional air connectivity routes were announced between Maharashtra and Gujarat. Is this UDAN (Ude Desh Ka Aam Nagrik) project only for Gujarat?" Mr Chavan said. Mr Chavan criticised hike in stamp duty, saying the construction business was already in trouble. The Congress leader criticised the 'Samvad Yatra' being organised by the ruling Bharatiya Janata Party. "This means there was no samvad (dialogue) earlier... and who will lead it - Raosaheb Danve, the state party president who recently passed derogatory remarks against farmers?" Mr Chavan said.